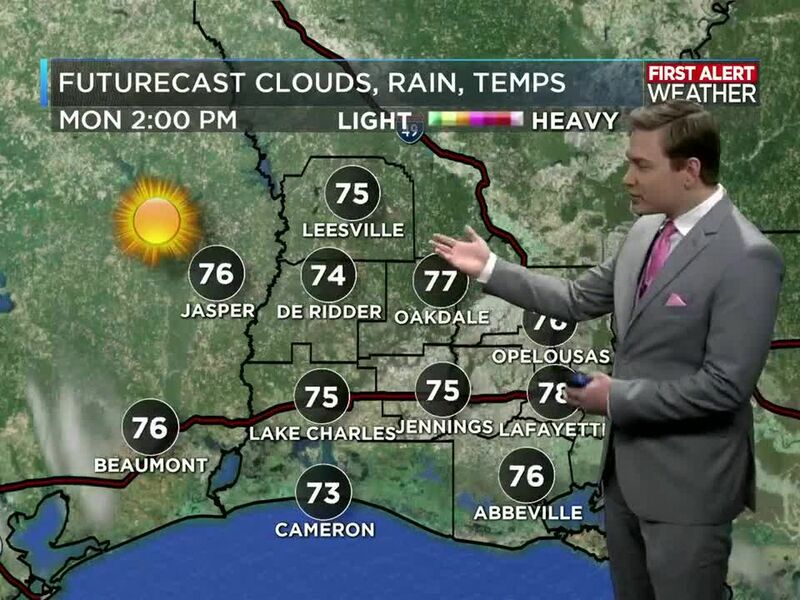 LAKE CHARLES, LA (KPLC) - Through the rest of the afternoon, the sunshine will stick around. It will be a nice sunny day with no chance of rain! There are not many clouds in the sky either. Through the afternoon, that will not change. The temperatures will also warm up to the mid 60s. Try to get out and enjoy the beautiful weather, because it will not last too long. This evening, the clouds will begin to come back. It will not be too cloudy right away, but there will be a few clouds after sunset. During sunset, it will still be nice and clear. So, if you have any evening plans, it will be a good evening to get outdoors. Temperatures will be falling to the 60s. Overnight, the clouds will play a huge role. Before midnight, the clouds will be a little limited. Therefore, the temperatures will drop quickly after sunset. The low temperatures will not be at sunrise, but instead, closer to midnight. Temperatures should fall to the lower to upper 40s. After midnight, the clouds will return, and slow the cooling process down. The temperatures may even warm up a couple degrees by the time the sun come up. By Thursday, the clouds will be back. It should be mostly cloudy with very limited sunshine. This is from the southerly winds coming back. A couple computer models are trying to show broken clouds, so we could see some sunshine, but I am more hesitant about that idea. I do not expect any rain though. 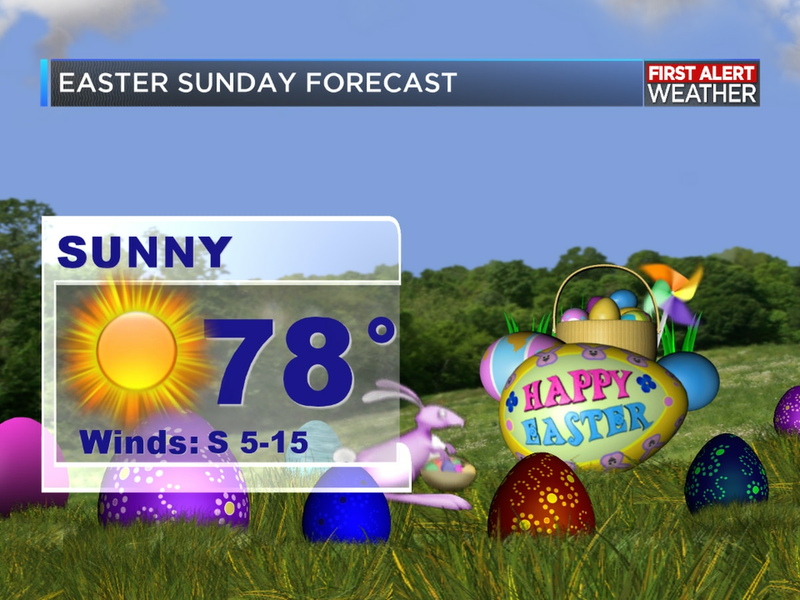 Temperatures will reach the lower 70s in the afternoon. So, it should still be a nice day. 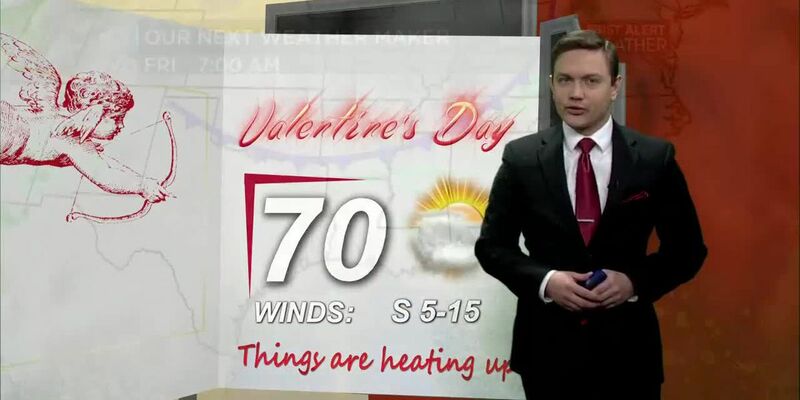 If you have any plans to go out for Valentine’s Day, you will not need an umbrella. Nor should you need a jacket either. Temperatures will still be warm in the evening. They should remain in the 60s. It will be a cloudy day and night, so I would not plan on going star gazing after sunset. Maybe the classic dinner and a movie. 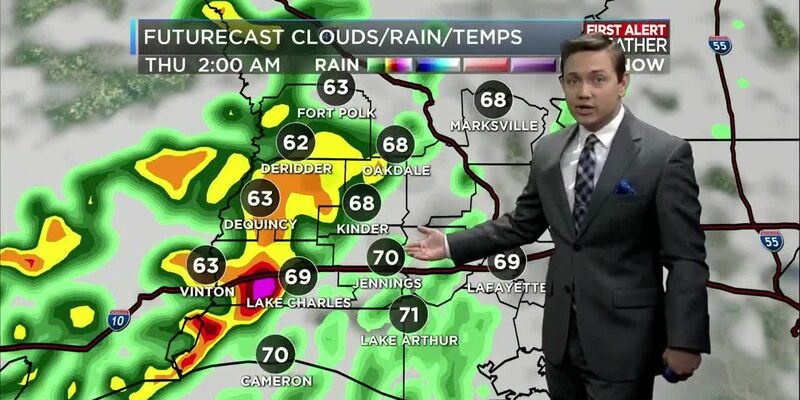 The front will take its time to pass through. 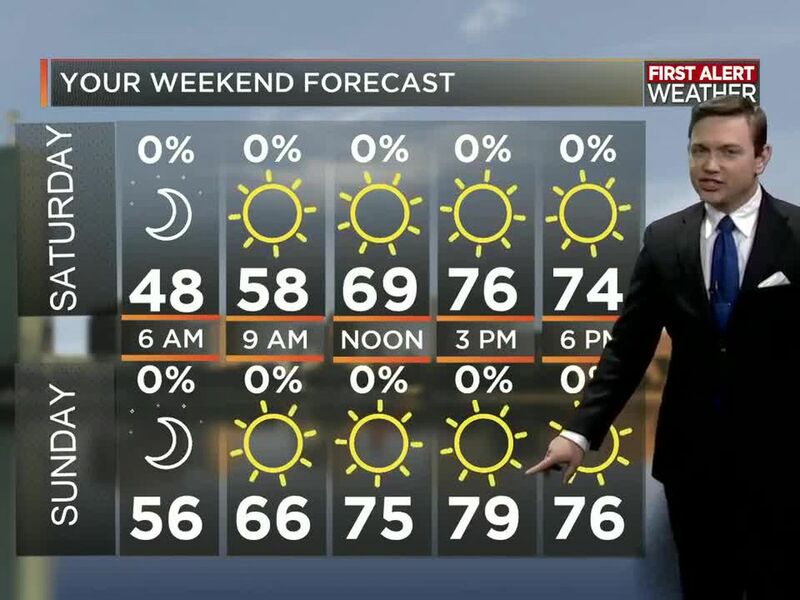 I am not completely sure about the forecast for the upcoming weekend since the front is being a little tricky. It will likely pass over us, but the question is when and how strong will it be by that time. So as of now, I have a 20% chance of rain on Saturday, and a 30% chance of rain Sunday. We will have a better idea about the forecast as we get closer. The latest trend is that the cold front will push through either Sunday or Monday, then will stall over the Gulf of Mexico. 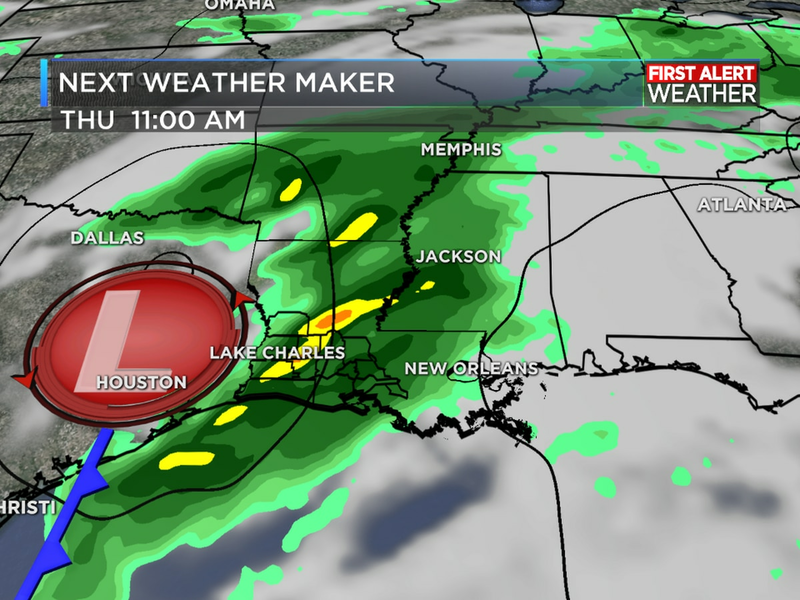 That will keep the rain chances in places by the middle of next week. 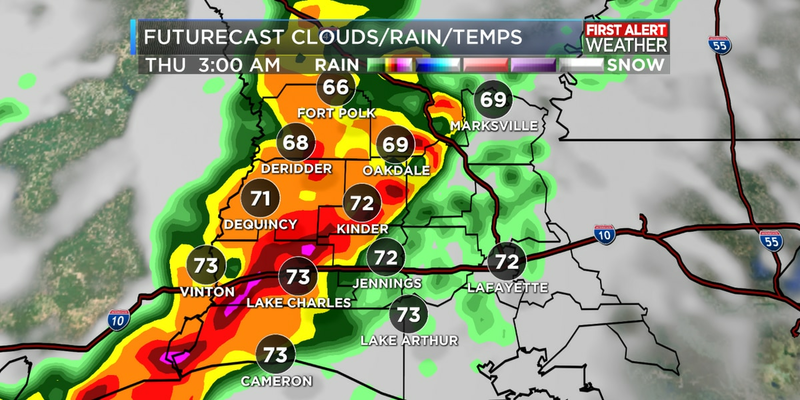 Especially if the stalled front moves back to the north over Southwest Louisiana. I have the rain chances up to 40% Monday and Tuesday.